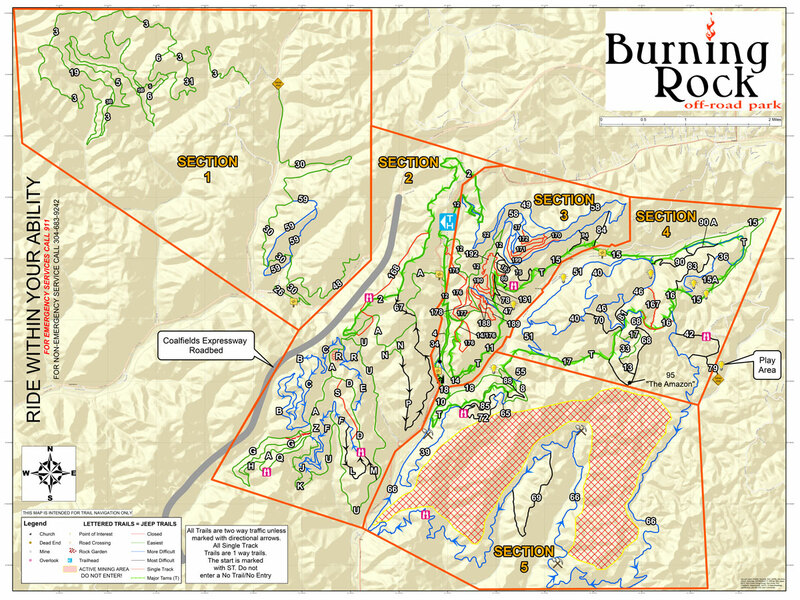 We use the same rating system as every ski resorts use for their trails. The only difference is, we have a lot more rocks. You may be familiar it already, but the color code is an easy way to tell where you are, and where you want to go. Easy. Greens are great trails for beginners to get their 4×4 legs under them. These are touring trails, long looping roads with just enough gradient to be exciting. Expect rocks and mud, but at a beginner’s pace. Mean Greenies are a great way to get familiar with our terrain and layout. Medium. Blue trails are for groups ready to step it up a little. The gradient on blue cruisers can vary greatly. Expect bigger rocks and obstacles for longer distances, tighter turns with steep sections scattered throughout. Hard. Black Diamond trails are for experts. Some people call them steep, but around here we call them “straight down”. Big boulders, sharp drop offs, and deep mud are what you’ll find on black trails. Expect to get stuck (that’s part of the fun for experts).